The cryptocurrency market posted a minor decline on Friday, with bitcoin and most other large-cap assets shedding about one to two percent of their previous-day valuations. Ethereum token BAT, however, managed to resist the market’s gravitational pull and post a major single-day rally. BAT — short for Basic Attention Token — is the native currency of Brave, the ICO-funded web browser that seeks to use the cryptocurrency token to upend the web’s traditional advertising model. For most of the day Thursday, BAT had traded below $0.215, and it continued to hold that line heading into Friday morning. That changed shortly before 9:30 UTC, when the token’s price leaped to $0.235, en route to an intraday peak at $0.25 — its highest point since early August. However, since peaking at that mark, BAT has entered a steep pullback, so it’s unclear what percentage of its gains it will sustain heading into the weekend. As of the time of writing, BAT was trading at an equivalent of $0.235 on Binance, and its global average price had risen 14 percent over the previous 24 hours. BAT’s 14 percent rally made it the top-performing asset among the 100 largest cryptocurrencies. Even more impressive, it was the only cryptocurrency to rise more than 10 percent, and its single-day climb was nearly double that of the next-best coin — Digitex Futures — which rose 7.35 percent on the day. The dramatic upswing may have been connected to the announcement, made late on Thursday, that Brave Rewards — formerly known as Brave Payments — had entered beta testing in preparation for its eventual full-scale rollout. This program, as CCN reported, allows publishers and other content creators to earn cryptocurrency payments, denominated in BAT, based on the amount of time that users spend on their websites. They can then withdraw these tokens to external ethereum wallets, or convert them to their local currency through cryptocurrency brokerage service Uphold. Users, in turn, receive a browsing experience that is free from the obtrusive, privacy-leaking advertisements that, unfortunately, have come to dominate the vast bulk of the online publishing space. The browser blocks all ads by default, though users can opt in to receive a limited number of non-tracking ads, the revenue from which goes primarily to publishers — not third-party ad companies like Google. Though not yet a major player in the Chrome/Safari-dominated browser space, Brave’s market share is steadily growing. The company said that it expects to hit 5 million monthly active users by the end of the year, and Popular Science has identified it as one of the top alternatives to Chrome and Safari. 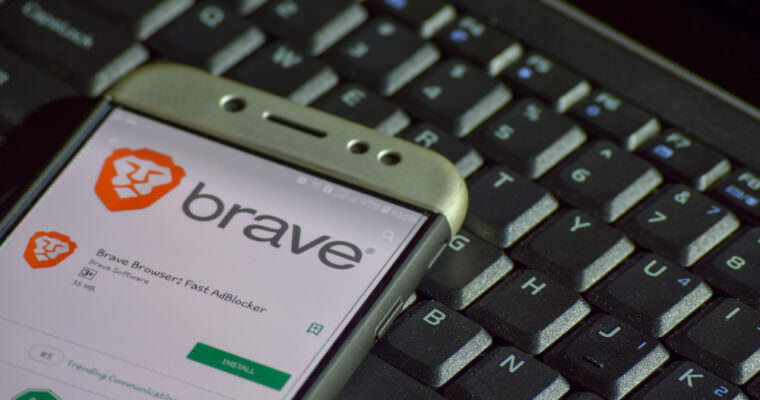 As Brave continues to give BAT a larger role on its platform — while also growing the browser’s user base — the token should earn the distinction of being one of the first so-called “utility tokens” to actually have demonstrable utility.